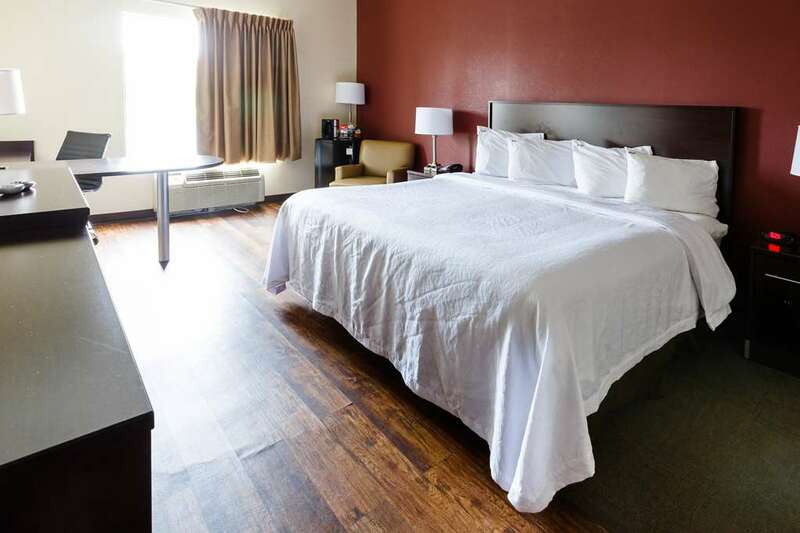 Red Roof PLUS+ Danville, KY is one of the best 100% smoke-free budget hotels in Danville, KY that is right off of US-150 Bypass and only minutes from the events happening in downtown Danville. We are also close to the Great American Dollhouse Museum, the McDowell House Museum, Centre College, the Great American Brass Band Festival, Danville Cinemas, the Lincoln County Fairgrounds, Pioneer Playhouse, Norton Center for the Arts and Ephraim McDowell Regional Medical Center. We offer our guests free Wi-Fi, a complimentary hot breakfast (served daily 6AM 9:30AM), an outdoor seasonal swimming pool and an onsite fitness facility. Upgrade to one of our Premium rooms where we will have a snack ready for you in your room! Red Roof PLUS+ Danville, KY is a pet-friendly hotel.